There was no shortage of bangers going down in the Five Dock Skatepark this past weekend for the Vans BMX Pro Cup stop in Sydney, Australia. Here’s a highlight reel Vans put together giving you a look at all the madness! After you check this out, you can get a look at the final results right here! “Watch what went down at the first stop of the Vans BMX Pro Cup Series at the Five Dock Skatepark in Sydney, Australia! Vans caught up with Dennis Enarson as he takes a look at some of the custom additions Jason Watts and the Fast and Loose Crew are building for the Vans BMX Pro Cup in Sydney. These additions should lead to plenty of extra lines being opened up, so get stoked for what’s to come this week! Scotty Cranmer‘s new signature Vans Sk8-Hi Pro BMX shoe has arrived! Above is a new video where Scotty talks about his original signature shoe, and then gives you a closer look at the new shoe that looks so good! You can learn all about the shoe and pick up a pair for over on the VANS Website now for $80.00! Pick up a pair of the shoes RIGHT HERE! Note: This post contains affiliate links and we could receive a small commission if you buy the shoes. We would never recommend a product we weren’t 100% stoked on! Scotty rules and so do these shoes. 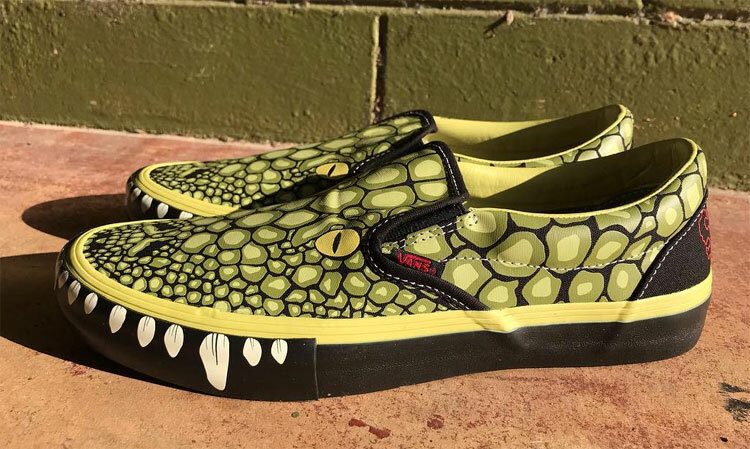 Vans coming through with a new Classic Tales episode. This time around they caught up with Scotty Cranmer to tell the story of the time he smashed his front teeth out on a failed double backflip during a contest. The crash isn’t too funny, but what happened on the plane ride home is! Hit play an check it out! “Scotty Cranmer decides during a contest run he is going to try the hardest trick of his life. He goes for it 110% and ends up with his face taking 111% of the impact upon landing. He wakes up toothless and it just gets grosser from there. I was just re-watching Courage Adams‘ video that Vans dropped a few months back, and remembered I didn’t have it posted up here since it came out while I was still at Ride BMX. This one is too good not to give another watch or first watch if you somehow managed to miss it. Courage is on a whole different level when it comes to balance and bike control, and this video is nothing short of a mind melter from the crazy riding that is non-stop from start to finish. Add in the incredible film work that Rich Forne did and you have a video you can’t pass up. “Introducing Courage Adams’ first full edit. Ever since stepping on the scene, Courage’s been turning heads with unreal bike control and explosive moves. Here’s one we’ve been anticipating for a few weeks now! To officially welcome Dennis Enarson to the Vans team, Dennis, Gary Young and Kevin Peraza took a trip to Grand Cayman to ride the local park and soak up the sun! As expected, this video turned out absolutely amazing with excellent riding and dialed film work. If you are buried in way too much snow like we are, this would be a dream come true of a trip right about now! “The Vans BMX Team welcomes Dennis Enarson to the family island-style. Tag along as the crew embark on a journey to re-discover one of the heaviest concrete parks ever built in the most unlikely of places, on Grand Cayman Island in the middle of the of Caribbean Sea, the infamous Black Pearl. Watch Dennis Enarson, Gary Young and Kevin Peraza shred 62,000 square feet of unforgiving Cayman concrete; the first tricks for Dennis Enarson on his new journey with Vans BMX.